This important work is the second volume in the significant "Reformed Historical Theology" series. Dr. Venema focuses on understanding the gospel in John Calvin's theology, particularly Calvin's "twofold grace of God," which encompasses the justification and sanctification of believers. The Holy Spirit communicates this twofold benefit to believers, joining them to Christ by faith. The doctrine of the "twofold grace of God" is examined within the broader framework of the knowledge of God as Creator and Redeemer. 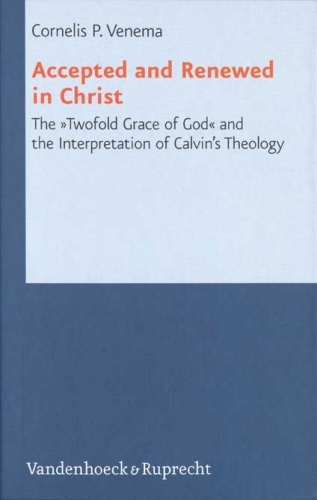 Dr. Venema also addresses several controversial questions in Calvin studies, including Calvin's view of the relation between the law and gospel, as well as his understanding of the role of good works in confirming the genuineness of faith.